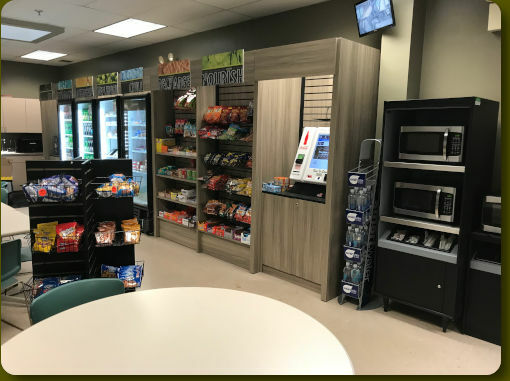 Our micro market is essentially a convenience store located in your workplace complete with a variety of snacks, including fresh fruit, hot and cold food and beverage options. Each micro market is custom designed and stocked with products that will best fit your workplace and employees preferences. The micro market gives your employees the opportunity to select their products and read the nutritional content before purchasing. How does the micro market work? The process is easy.